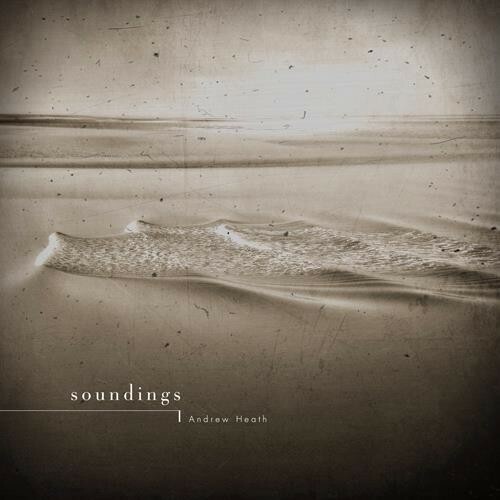 Soundings continues Andrew Heath's exploration and manipulation of found sounds and field recordings to create textures and pointillist staccato notes of sound which are then set against quiet piano phrases and shimmering electronic treatments. The album explores his growing fascination with the quiet sounds of people within interior spaces – footsteps, talking, even whispering - the sound of voices that are often rendered so faint and that are buried so deep that they become unintelligible, simply leaving a trace of speech. Another new element in his recent work is the addition of other musicians. His on-going collaboration with the Dutch ambient musician, Anne Chris Bakker is represented here on ‘Winter on Noorderhaven’ and ‘Happenstance’, to which Chris adds beautiful guitar. Stéphane Marlot plays an elegant cello addition on ‘Days In-between’ and Bill Howgego a stunning clarinet on ‘A Break in the Clouds’.